Once you come in you won’t want to leave! 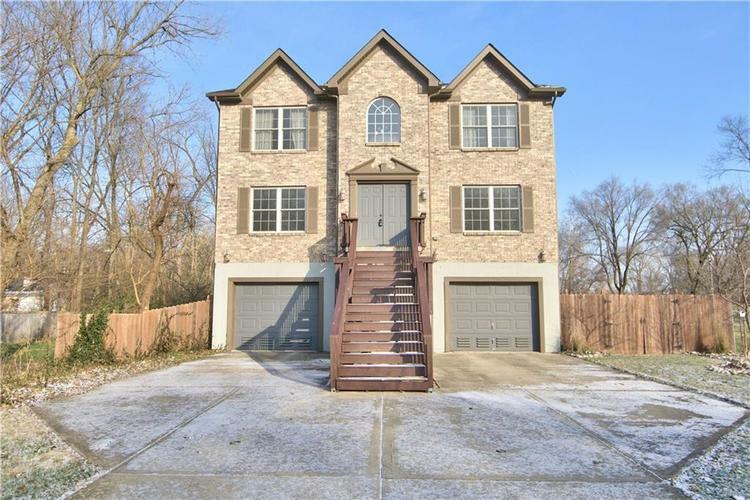 Nestled in a private wooded neighborhood, this 3 bed, 2.5 bath is so close to the Fashion Mall, Broad Ripple, walking trails, etc! With a huge entertainers deck, fully fenced in backyard, fire pit, AND 1,000 sqft garage, this home will surely surpass your expectations! The gourmet kitchen includes granite countertops, SS appliances, center island and opens right to the back deck which is perfect for entertaining. You can also entertain or enjoy meals in the formal dining room. The vaulted master suite features a walk-in closet, garden tub with separate shower and double vanity sinks. The other 2 bedrooms are just as spacious with walk-in closets. Come see all this home has to offer, plus, NO HOA! Directions:North on Keystone to 80th St. West on 80th to Lincoln, left on Lincoln to Beach Ave (3 way stop). Left on Beach to home on left.